LONG BEACH, CA (Laserfiche)—October 29, 2009—Laserfiche today announced that it is exhibiting Agile Enterprise Content Management (ECM) engineered with Laserfiche and Microsoft technology at the sixth annual InnoTech show (booth 413) taking place today in Austin, Texas. 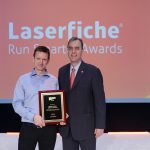 Laserfiche has over 800 customers in Texas, including Collin County, home of 2009 Texas CIO of the Year Caren Skipworth. Collin County has based its information management infrastructure on a Laserfiche Agile ECM solution that provides central control over standards, security and auditing while still giving individual departments the flexibility to customize their own filing methodologies and workflow. A few of the benefits the County has realized include: 300 hours of saved staff time in the Auditor’s Office; reduced software maintenance fees; and decreased paper storage costs. 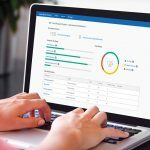 For an insider’s look at how Collin County has leveraged Agile ECM to increase efficiency and improve customer service, see: https://www.laserfiche.com/docs/case_studies/Collin_CountyTX.pdf.